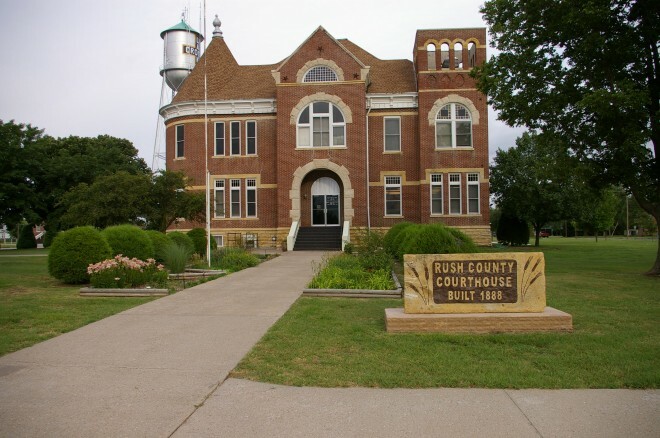 Rush County is named for Alexander Rush, Captain of company H, second coloured infantry, who was killed April 3, 1864 at Jenkins Ferry, Arkansas. 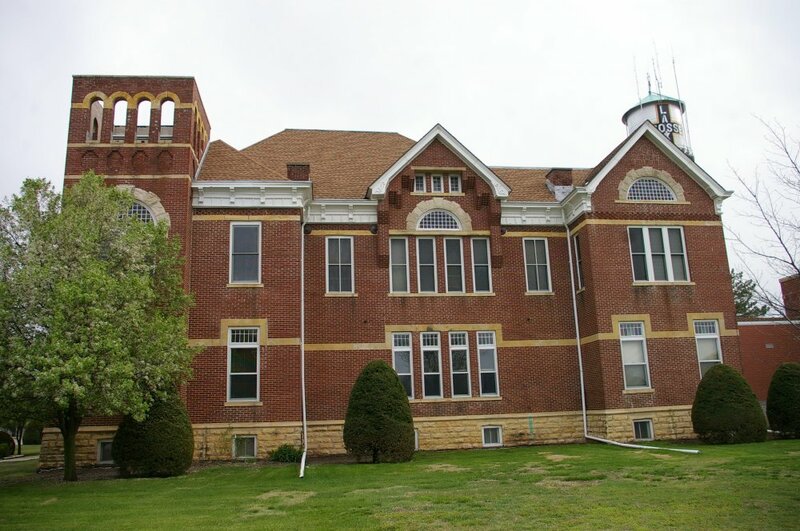 Description: The building faces east and is a two story red colored brick structure. 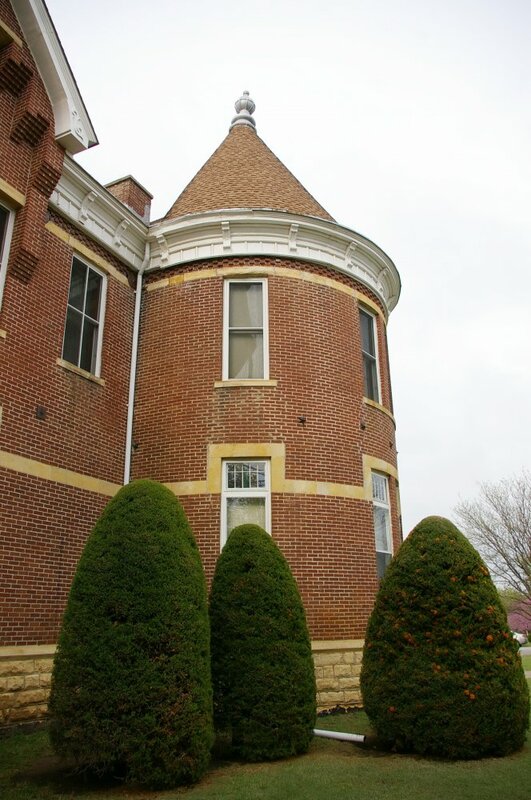 The southeast tower is round with a conical roof topped by an onion-shaped finial. 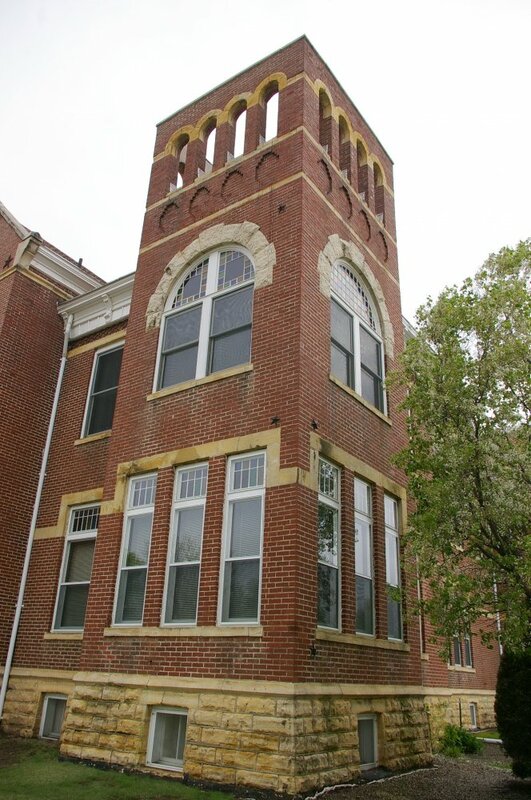 The northeast tower is square and when built had a steeply pitched hip roof. Arched openings pierce the upper part of the square tower. The main entrance, reached by a set of wide masonry steps, is set within a stone arch that is repeated twice above in the projecting entrance bay. 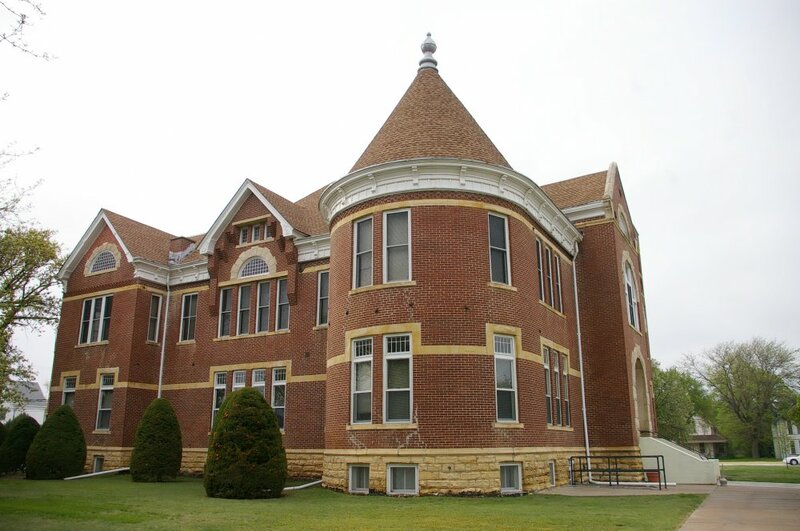 The building has a rough-hewn native limestone base. 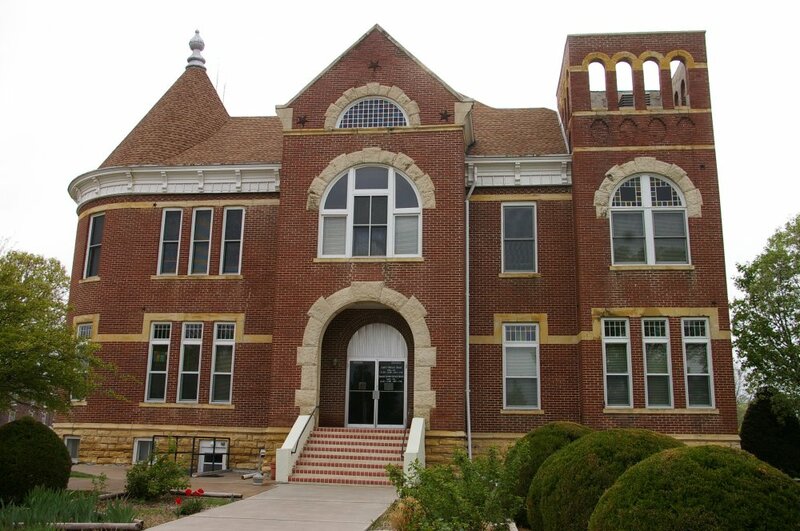 Note: The cost of construction of the courthouse was $17,950. 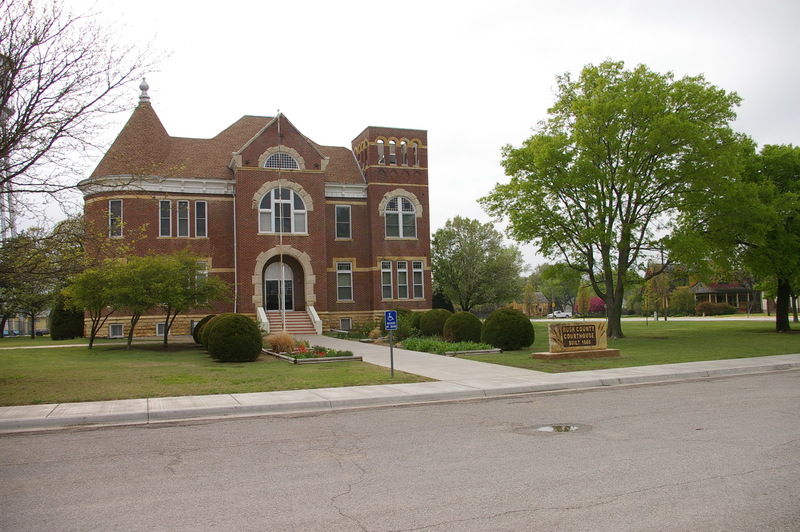 The project was hindered by considerable bickering between the contractor, the commissioners, and George Shaffer, who was the superintendent of construction. Allegedly the plans were poorly drawn and the commissioners insisted on making numerous changes. Despite the delays, the building was finished by the spring of 1889.